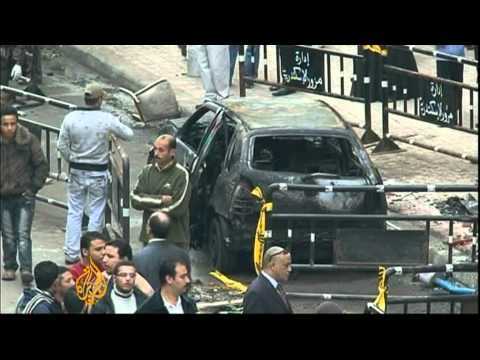 The semi-official Egyptian newspaper, al-Ahram, reports that Egyptian President Hosni Mubarak asserted in a speech to the nation on Saturday that a foreign hand was behind the car-bombing of a Coptic Christian church in the Mediterranean port city of Alexandria shortly after midnight on Saturday morning, which killed 21 and left nearly 100 persons wounded, some seriously. Al-Sharq al-Awsat reports that the bombing provoked a riot by local Christians, who blamed police and security forces charged with protecting the church, in which police were charged and automobiles damaged. Most of the victims of the blast were Christians, but they included Muslim police detailed to guard the church. In general the rhetoric of Egyptian Muslim officialdom depicted the radicals’ attack on the Coptic Christians as an assault on the Egyptian nation. The Egyptian secret police have by now infiltrated all known Muslim fundamentalist groups in Egypt, which is why there has been so little violence in the Nile Valley in recent years. The group that carried out this church bombing was therefore likely ‘newskins,’ fundamentalists with no record who were unknown to the security forces. This scenario would be consistent with the terrorist cell being made up of foreigners. President Mubarak pledged to ‘cut off the head of the snake,’ stressing that Egyptian Muslims and Christians are in the same trench together, and that God would defeat the cunning of the plotters. Addressing what al-Ahram called “bushwhackers,” Mubarak said forcefully, “We won the battle against terrorism in the 1990s, and you are sorely mistaken if you think that you are insulated from the retribution of the Egyptians!” Mubarak said that this “act of terrorism” had “shaken the conscience of the nation” and affirmed, “the hand of terror stretched out against innocent victims in a terrorist operation alien to us and to our society.” He said, “Terrorism knows neither country nor religion” and affirmed that there was evidence of a foreign hand being behind the attack. Egypt’s minister of the interior said, “The circumstances of the commission of this crime contradict the prevailing values of Egyptian society. It was committed on a religious occasion celebrated by both Christians and Muslims alike…” He noted that Muslims were among the victims. Mubarak must be inwardly seething against George W. Bush and his catastrophic Iraq War, against which Mubarak had advised, saying that “if there is one Bin Laden now, there will be 100 bin Ladens [after the war in Iraq]”. The Rector of al-Azhar is among the most respected Sunni Muslim leaders in the world, and many Egyptian believers take his rulings or fatwas very seriously. Just as believing Catholics in Italy have two major frames of law and ethics– Italian nationalist ones and Roman Catholic ones– so Egyptians look both to secular Egyptian nationalism and to Sunni Islam for their identity and ethics. As for the secular nation-state, Copts are citizens, and, indeed, have often been elevated in modern Egypt to the status of the original Egyptians. The Egyptian constitution and the country’s judicial practice has been largely secular, though inevitably some Muslim norms are influential. From a strictly religious point of view, as well, it is forbidden to attack Christians or even just mistreat them in Sunni law, as explained by old-time Muslim Brotherhood activist in exile in Qatar, Yusuf al-Qaradawi. The Islamic State of Iraq, a radical group with vague ties to al-Qaeda, has pledged to attack Christians in Iraq and Egypt, seeing them as collaborators with American imperialism (an unfair and untrue charge). The Austrian newspaper Die Press had reported on December 28 that the Islamic State of Iraq had targeted 15 Coptic Christians living in Austria for death. The awful event in Alexandria will be widely reported in the US as a Muslim vs. Christian affair. But it isn’t. It is a fringe-terrorist-group-with-a-Muslim-background versus middle class, normative Islam affair. And, despite the Rector of al-Azhar’s unequivocal and public condemnation, the inside-the-beltway pundits will wonder why Muslim authorities aren’t condemning the attack on Christians. In part, it is just that American pundits do not know who the Rector of al-Azhar is or that he possesses wide authority in Sunnism.